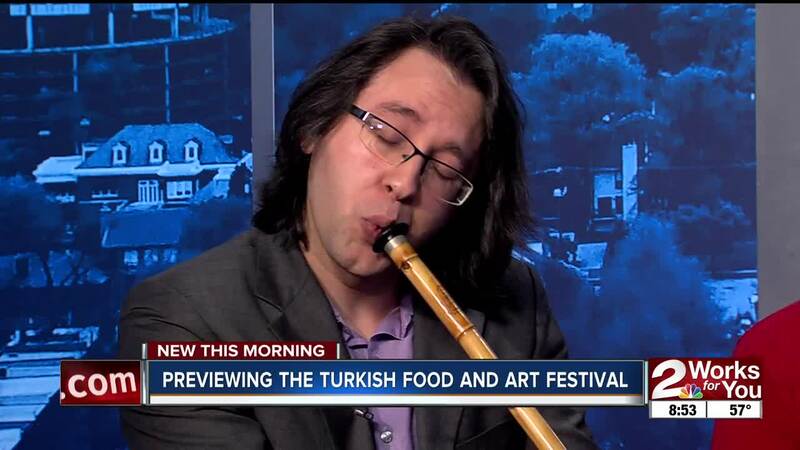 Soner and Fatih of the Raindrop Turkish House Tulsa stopped by our studios to preview the annual Turkish Food and Art Festival. Soner played a traditional Turkish instrument that he will play at the festival. BROKEN ARROW, Okla. — Members of the Raindrop Turkish House Tulsa stopped by 2 Works for You studio to preview the upcoming Turkish Food and Art Festival. Soner Gozuotlu will be an artist playing at the festival. He plays the ney, a Turkish instrument resembling a flute. Every year, the Turkish community puts together the free family event with activities, live music and an array of Turkish food. This year, they will be holding the event indoors with the expected rainy forecast on Saturday, March 30. It'll fun from 11 a.m. to 7 p.m. at 4444 W. Houston S. in Broken Arrow.